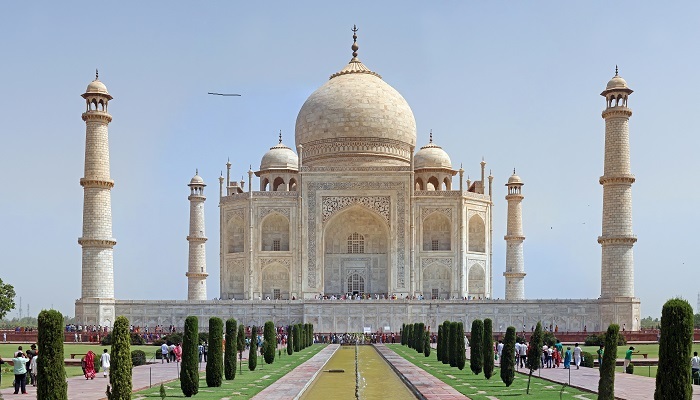 Top 10 destinations in pink city you must visit! Jaipur is lovingly known as Pink city and with its spectacular remnants of a long-gone era, it lures visitors from all over the world a lot. 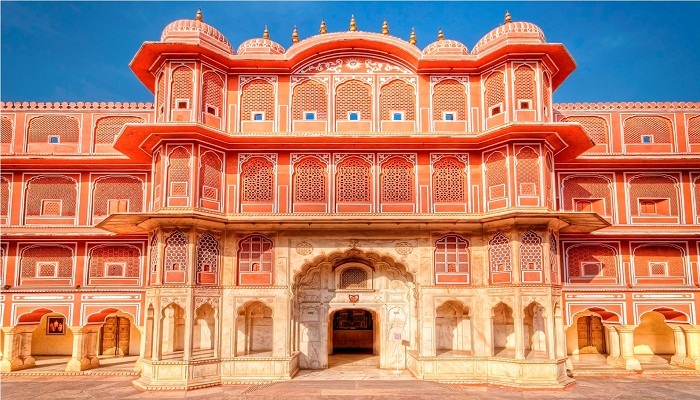 As a reminder of the royal heritage of Jaipur stands its ancient forts and palaces having intricate architecture and they also serves as the most popular attractions of the city. 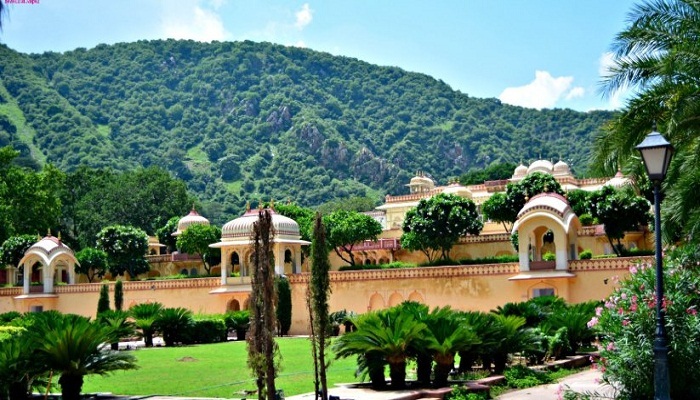 Hers are Jaipur’s top attractions for you by the leading travel planners in Jaipur, India-Globetrouper. 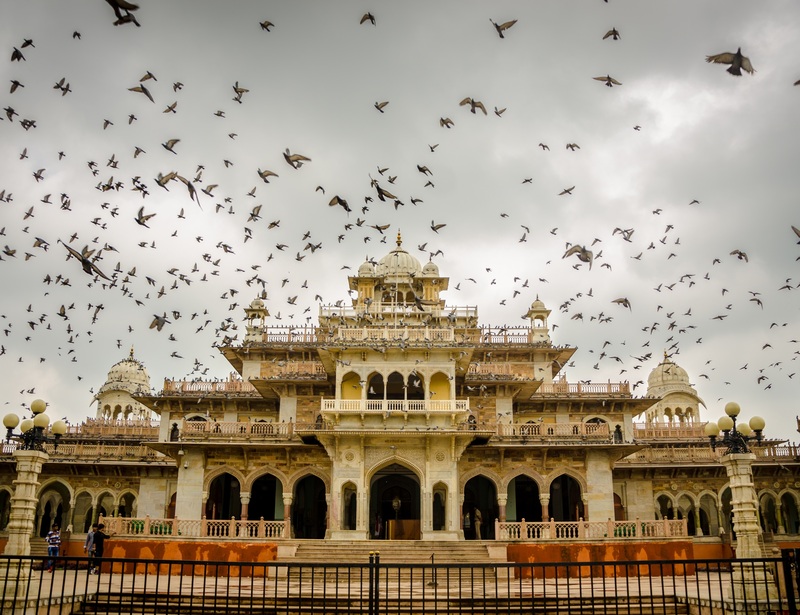 The magnificent City palace is the blend of both the Mughal and Rajasthani architecture with a massive compound of buildings, gardens and courtyards. In India, Jaipur’s royal family is one of the richest families and one can easily observe this while visiting City Palace. A museum, old weapons, fascinating exhibit of royal costumes and art gallery are also there inside the complex of City palace. Set on the top of a hill, Amber Fort overlooks the Maota Lake. 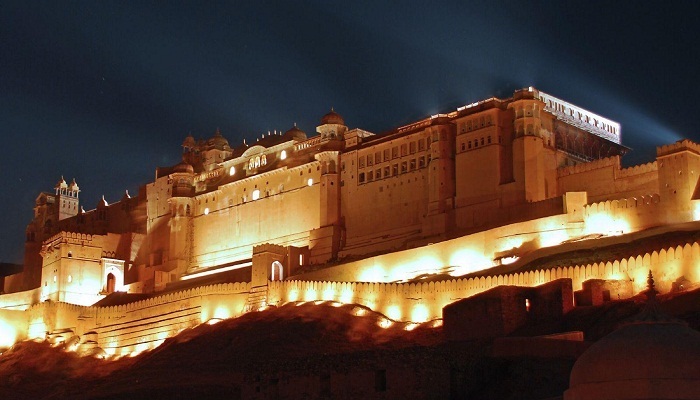 Until the city of Jaipur was build, Amber Fort containing number of spectacular halls, palaces, temples and gardens was Rajput Royalty’s original home. The highly structured mirror work adds to the magnificence. 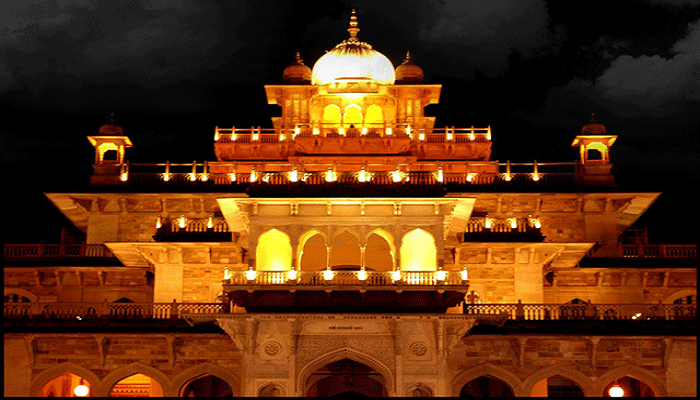 The history of the Fort is brought alive by the impressive light and sound show in the evening. Hawa Mahal is also popular as the palace of Winds and its fascinating and convoluted frontage makes it as the most renowned building of Jaipur. 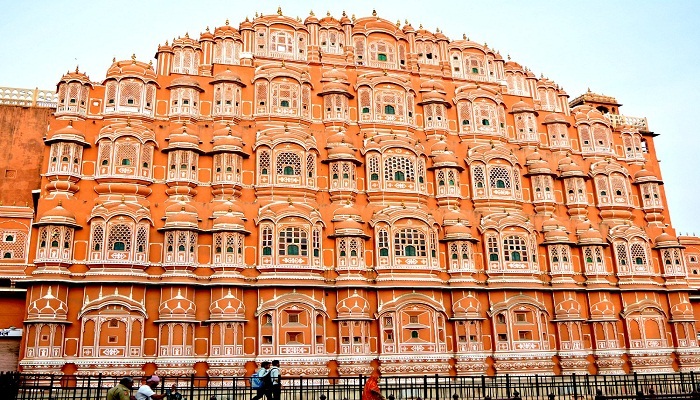 Build in 1799, there are 5 floors in Hawa Mahal each having rows f small screens and windows. The palace has received its name by the wind that use to flow through the gaps. Built between 1727 and 17345 by King Jai Singh II, Jantar Mantar factually means “calculation instrument”. Jantar mantar is not just an inquisitive collection of sculptures. 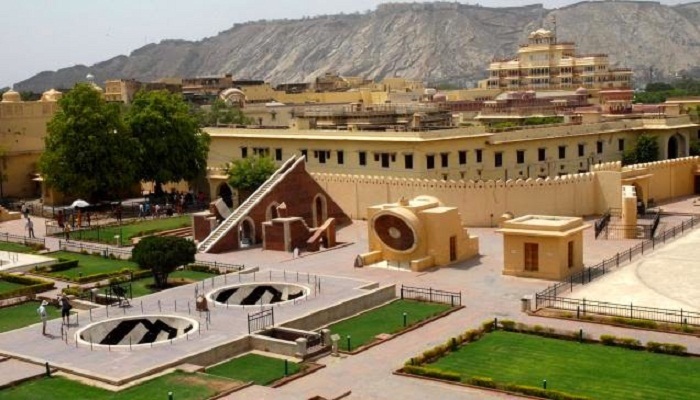 There is a specific astronomical purpose of each and every structure in the Jantar Mantar. In total, there are 14 structures in Jantar Mantar by which time is measured, starts are tracked and eclipses are predicted. Built in 1726, huge Jaigarh Fort holds immense appeal for the lovers of military. 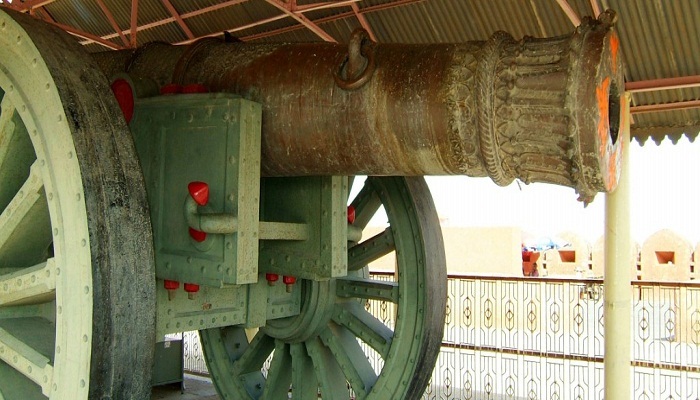 The world’s largest canon on wheels is contained in Jaigarh Fort and gigantic watchtowers and gateways border the Fort. The Fort of Jaigarh has never been captured and this is the reason why over its extensive life, it remained unharmed and well conserved. High on the jagged Aravali Hills hover the Nahargarh Fort overlooking the city of Jaipur. 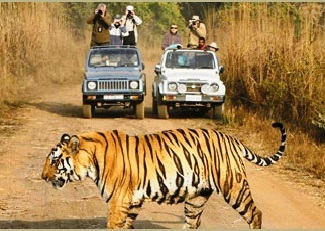 Tiger Fort is another popular name of Nahargarh Fort. 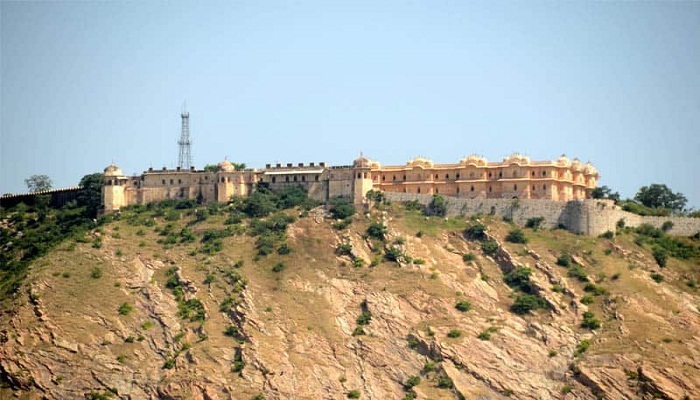 For the purpose of defending the city, the Nahargarh Fort was constructed in 1734. Number of scenes of the famous movie Rang de Basanti have been filmed in the Nahargarh Fort after which the fort found eminence. 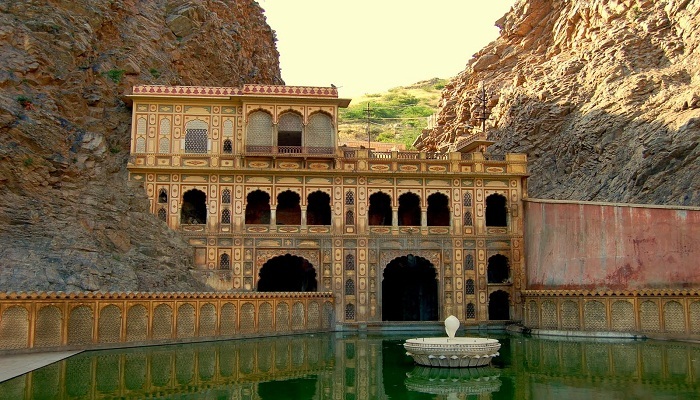 Between the two cliffs of granite is situated this holy Hindi temple. The monkey temple is the section of a bigger compound of temple that also contains three blessed pools of water. Thousands of monpkeys have taken over one of the three pools where they come together to bathe and swim. On the Albert and Victoria museum in London was sculpted this old and popular museum. Te museum contains several interesting collections including costumes of the local kings, their portraits, paintings, woodcarvings, crafts and arts. Photography is not allowed inside the museum. In 1728, the Sisodia Rani ka Bagh was built by Maharaja Sawai Jai Singh for Sisodia, his second queen. Beqautiful wall paintings depicting the love story of Radha-Krishna adorns this royal garden. Truly undying love is represented by the wall paintings and the storyline details and befits the spirit of this bagh which is a sign of love itself. 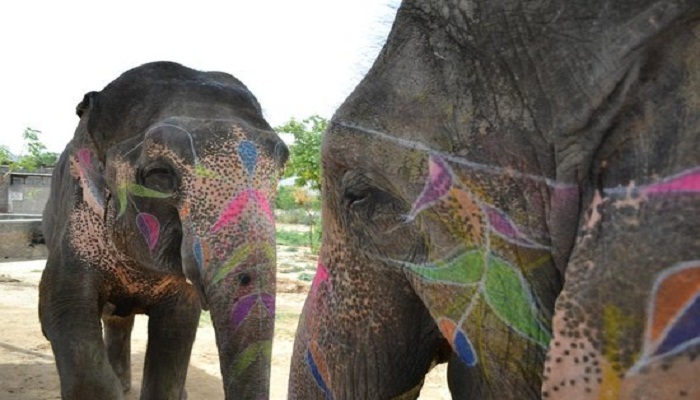 Elefantastic is the farm of elephants built in the village of elephant care in 2012. The aim behind Elefantastic is the promotion of wellbeing of these huge creatures and to make the tourists aware of the fact that all of them are not mistreated. 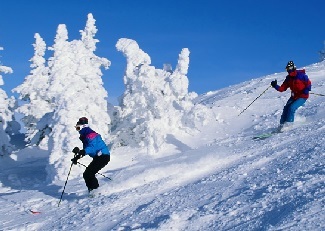 Globetrouper offers amazing Jaipur tour packages so that you can enjoy your holidays with friends and family. 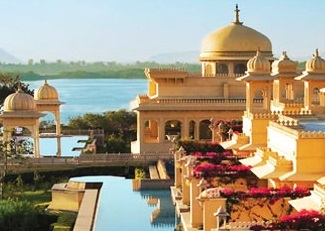 We are here as the best travel planners in Jaipur, India to make your trip memorable providing all that you require in your tour.